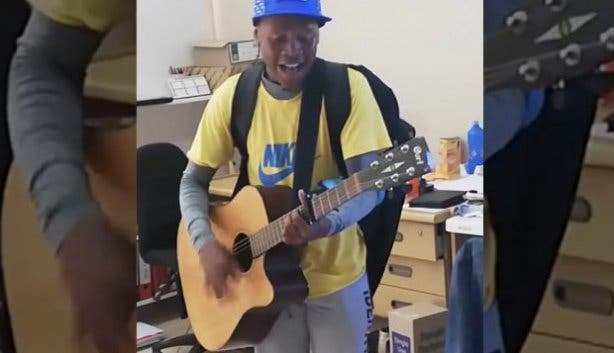 He was discovered by George local Jessica Basson, who was at work when she heard Naelon, an Environmental Biology student from Pretoria who now lives in Knysna, singing outside the office window. 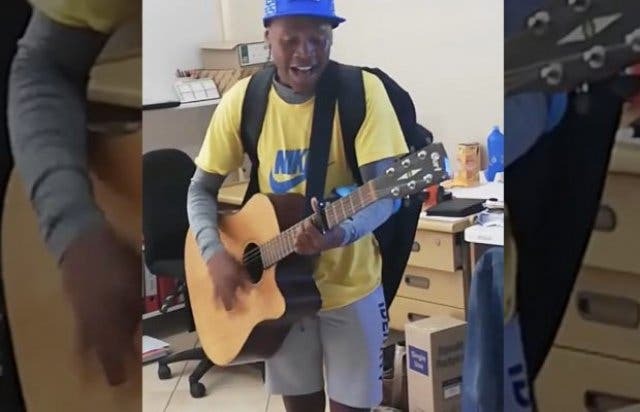 She called him in and asked him to sing for her colleagues, where she recorded the video, as reported by our friends at goodthingsguy.com. The video went viral, after a friend of ours who wanted to support him getting famous shared it on Facebook. Since then, Andrews has gained major exposure and uploaded a new video onto his own Facebook page, also later noting that he is being flown to Joburg for an interview with Groot FM 90.5. CapeTownMagazine.com wants to take Naelon and others like him to the next level: a paid gig at a music venue. So, we’re employing you, our readers, to get the word out. Share, share and share this with everyone you know and ask them to share – someone will know the right person somewhere, right? Plus: Connect with Naelon on Facebook here. Discover more up and coming South Africans and places to catch live music in Cape Town.